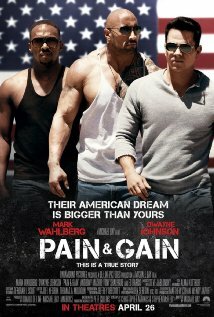 Caught an advanced screening of Pain & Gain in Miami and I must say this movie is without doubt going to be a huge hit. Absolutely hysterical and action packed. Marky Mark proves yet again that he is one of the best action/comedy stars of our time. Before seeing this movie I was never a fan of Dwayne "The Rock" Johnson or his supposed "acting" skills but after seeing him play a former criminal and hilarious born again Christian in this film I have to say I am now a fan. Go watch this movie and prepare to be laughing hysterically from beginning to end. The fact that the boneheaded kidnapping plan portrayed in the film was based on a true story makes this that much more intriguing. Go watch this movie!